Scott Weiland (born Scott Richard Kline on October 27, 1967) is an American musician, lyricist, and vocalist, most notably known for his work with Grammy Award-winning rock band Stone Temple Pilots (STP), and also for his five-year career with supergroup Velvet Revolver. Pearl Jam is an American rock band that formed in Seattle, Washington in 1990. Since its inception, the band’s line-up has included Eddie Vedder (lead vocals, guitar), Jeff Ament (bass guitar), Stone Gossard (rhythm guitar), and Mike McCready (lead guitar). Noir Désir is a French rock band from Bordeaux. During the 90s and early 2000s they were generally regarded as France’s biggest rock band. Nirvana was an American rock band that was formed by singer/guitarist Kurt Cobain and bassist Krist Novoselic in Aberdeen, Washington in 1987. Nirvana went through a succession of drummers, the most notable being Dave Grohl, who joined the band in 1990. Neil Percival Young OM (born November 12, 1945) is a Canadian singer-songwriter, musician and film director. Young’s work is characterized by deeply personal lyrics, distinctive guitar work, and signature falsetto tenor singing voice. Mark Lanegan (born November 25, 1964) in Ellensburg, Washington) is an American rock musician and songwriter. Lanegan began his music career in the 1980s, forming the grunge group Screaming Trees with Gary Lee Conner, Van Conner and Mark Pickerel. During his time in the band Lanegan would start a low-key solo career. Mad Season was an American rock band formed in Seattle, Washington in 1994 by members of three popular Seattle based bands: Alice in Chains, Pearl Jam and Screaming Trees. Mad Season only released one album, Above, and is best known for the single “River of Deceit”. Hole was an American alternative rock band that formed in Los Angeles in 1989 and disbanded in 2002. The band was fronted by vocalist/rhythm guitarist Courtney Love, who co-founded Hole with lead guitarist Eric Erlandson when he responded to an ad she placed in the punk zine Flipside. 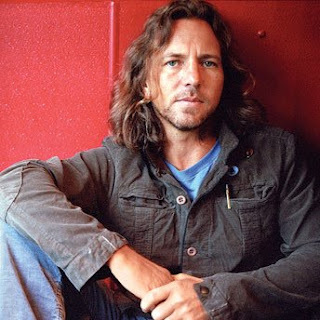 Eddie Vedder (born Edward Louis Severson III on December 23, 1964 in Evanston, Illinois) is an American singer, songwriter, composer, and guitarist. He is the lead singer and one of three guitarists for the American rock band Pearl Jam. Courtney Michelle Love (born Courtney Michelle Harrison on July 9, 1964) is an American rock musician and actress. Love is known as lead singer and lyricist for the alternative rock band Hole and for her two-year marriage to Nirvana singer/guitarist Kurt Cobain. Rolling Stone called Love “the most controversial woman in the history of rock”.